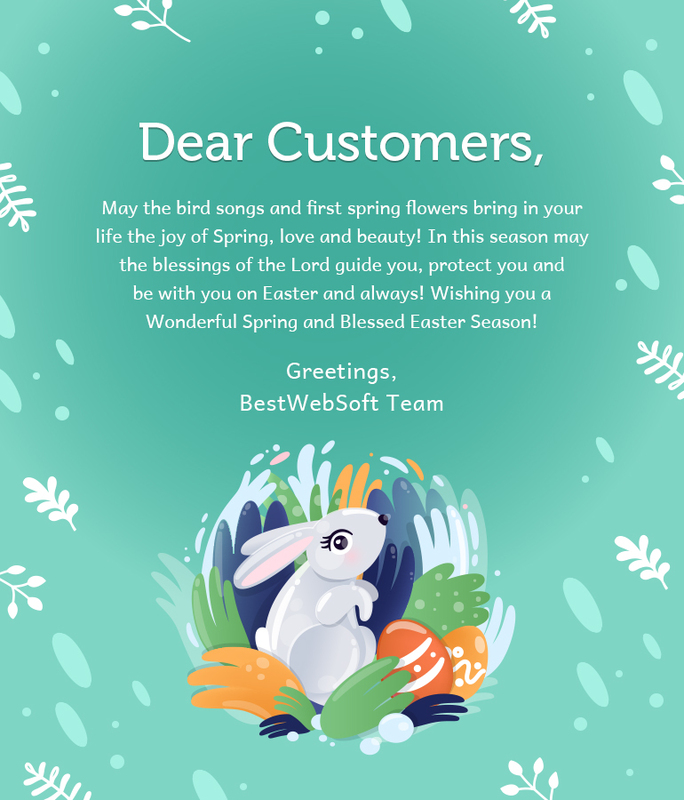 As the song of birds heralds the approach of spring, may this bright holiday bring you new beginnings, new expectations and new joys! To make this Easter holiday even more bright and happy, we have slashed down the prices, offering our the hottest seasonal savings! Shop and save up to 40% with our Happy Easter Sale! May the spirit of hope that Easter brings, help you find inspiration and contentment in little things! Save Your Money with BestWebSoft Pro Membership!